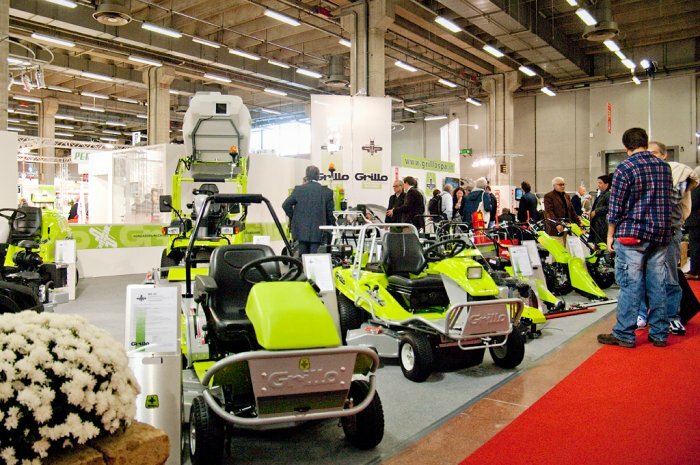 The numerous exhibitors, the participation of specialists as well as the attendance of the public during the five days did not disappoint the expectations. 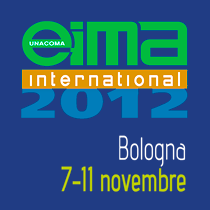 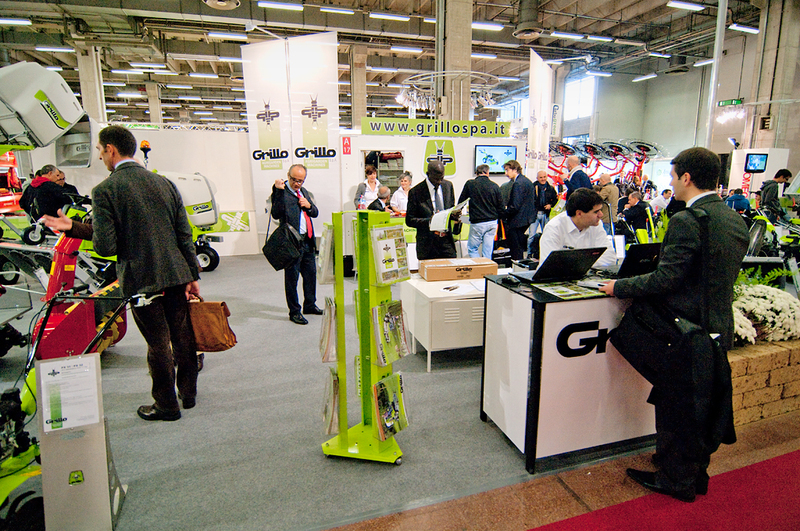 The record attendance compared to the previous exhibitions is its evident proof. 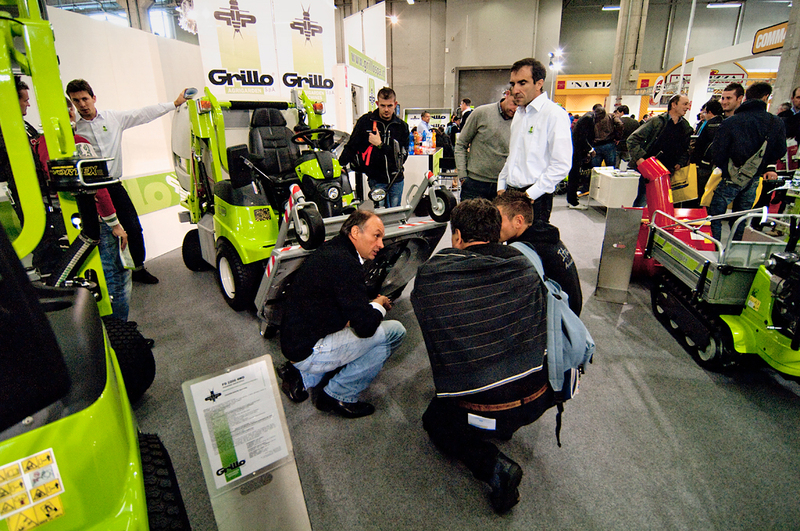 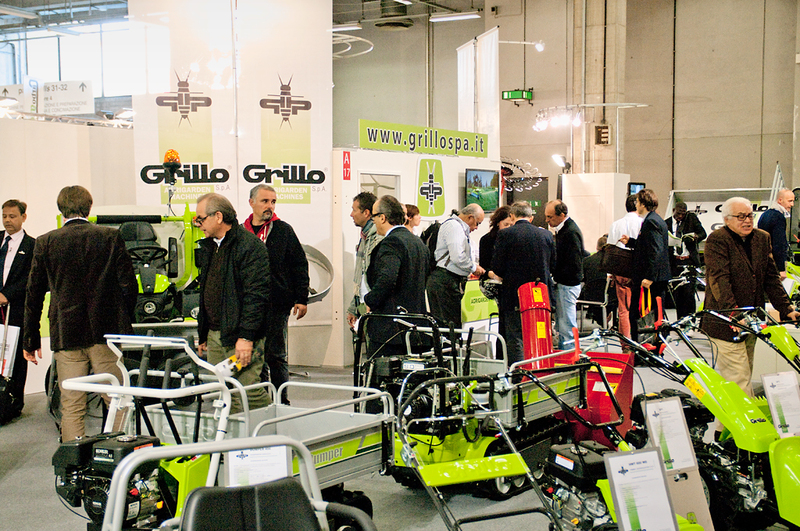 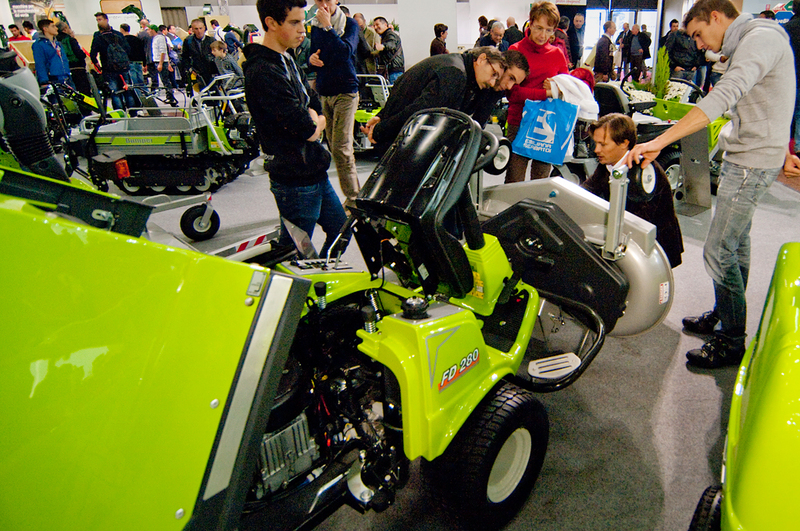 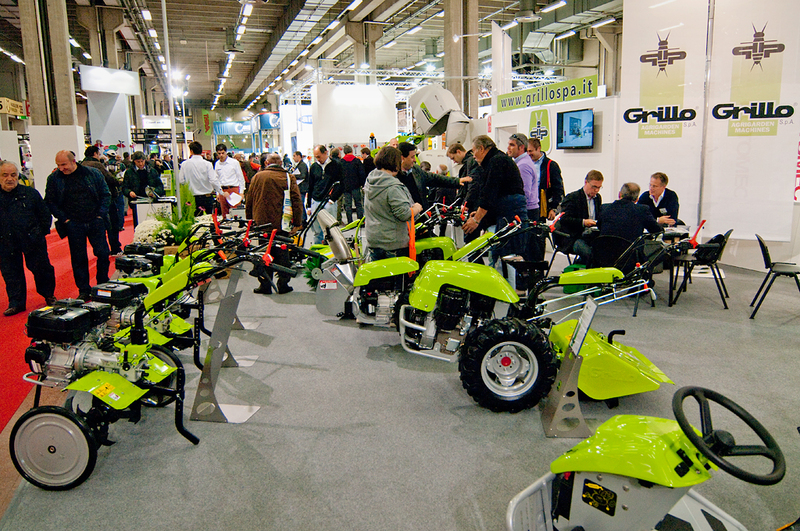 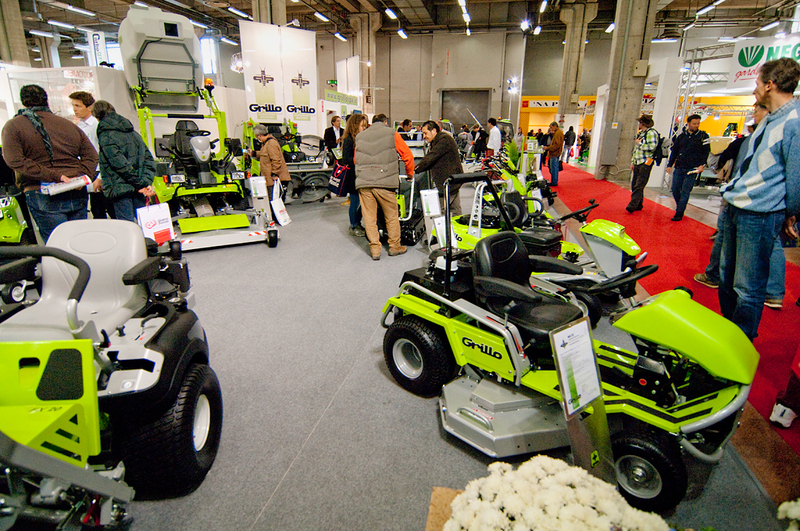 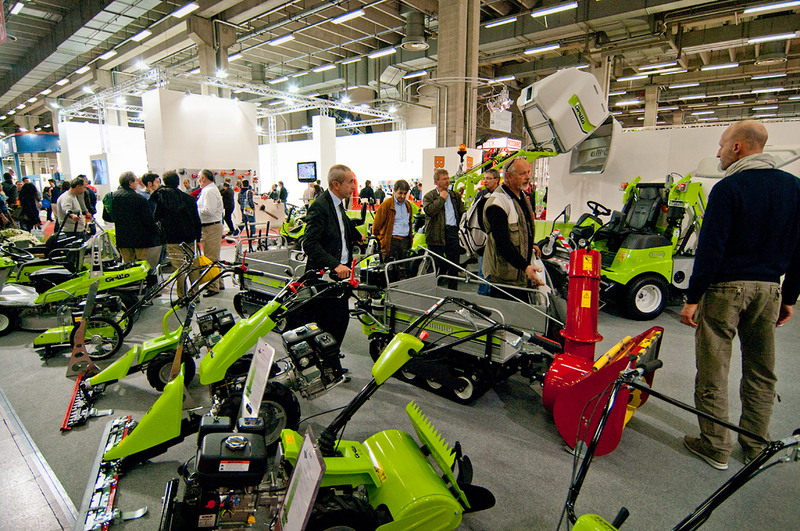 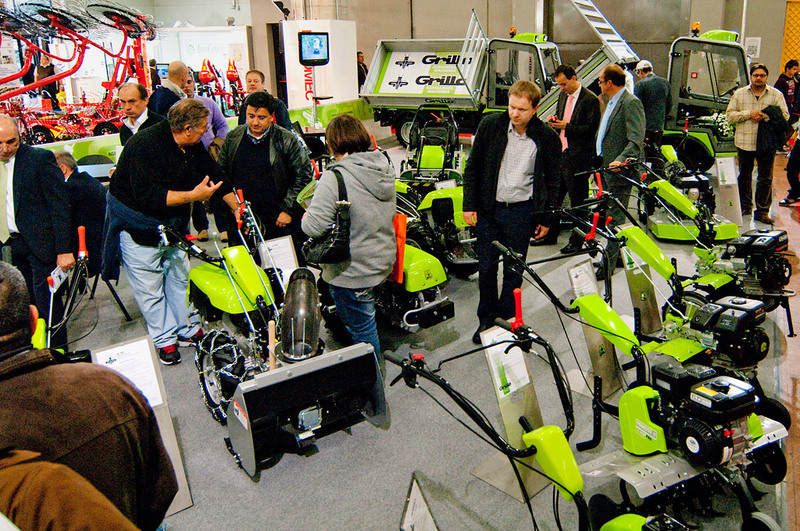 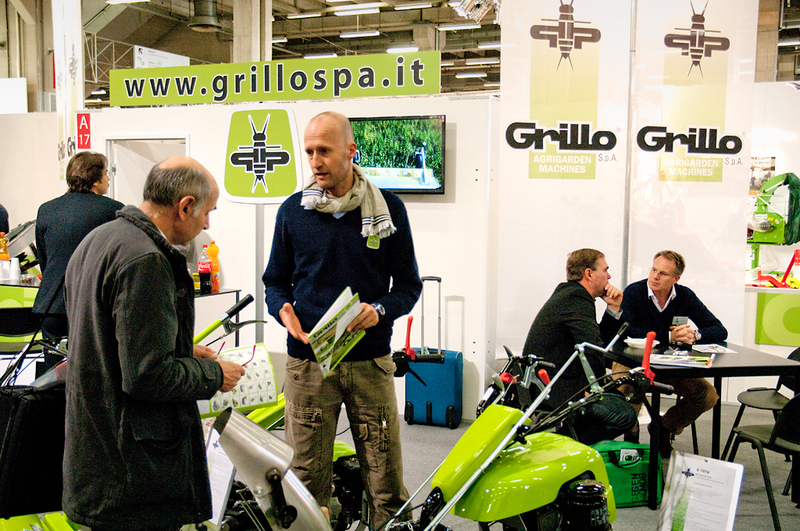 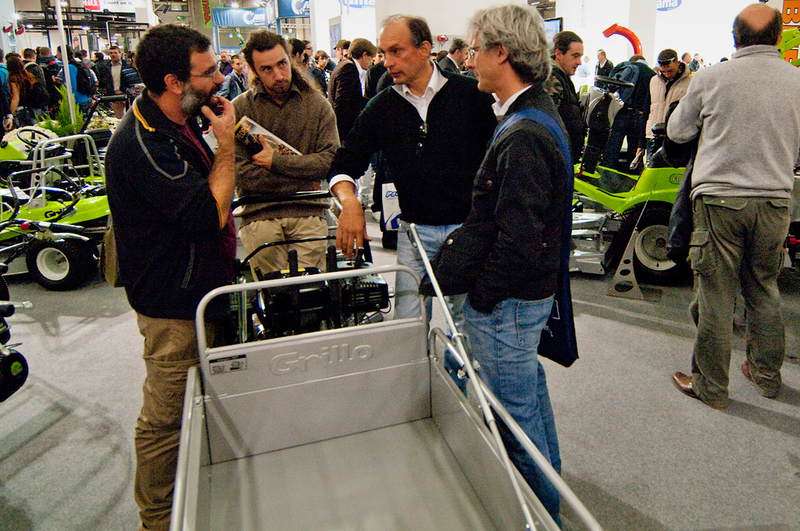 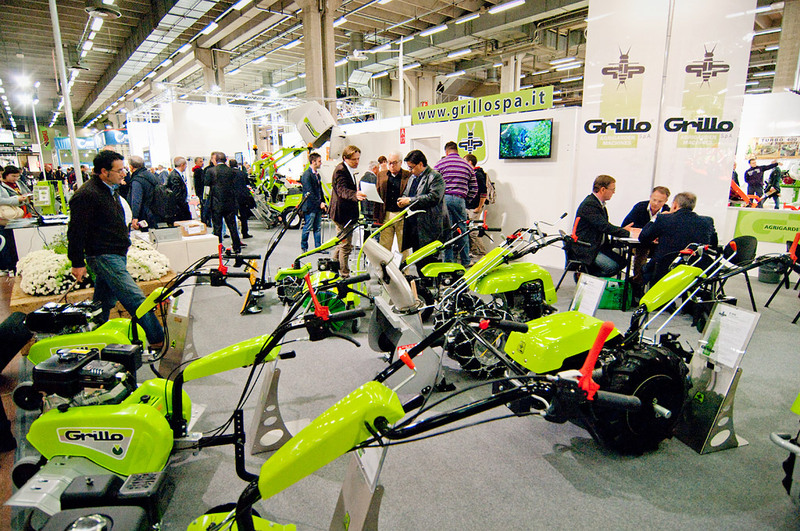 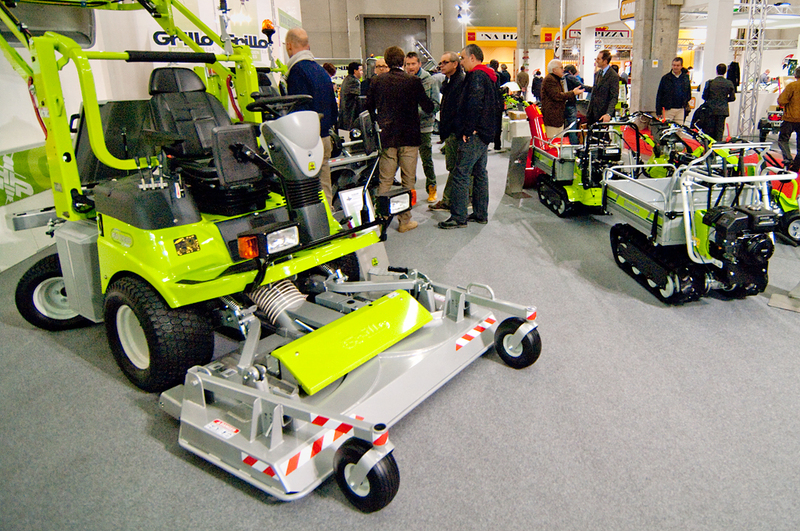 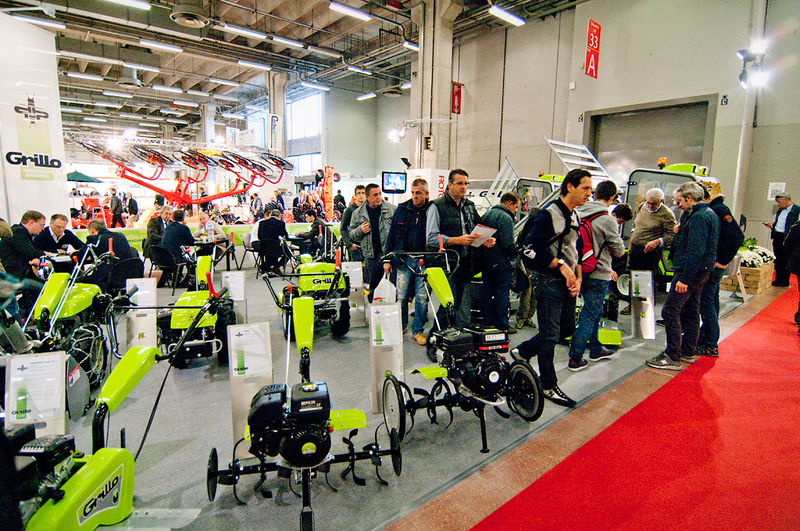 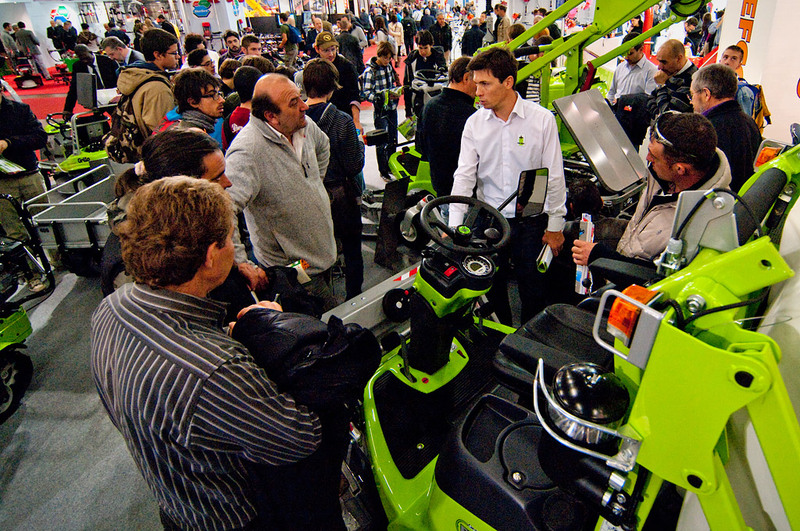 Grillo SpA was present with its traditional stand of 225 square metres displaying its whole product range: walking tractors, motor hoes, trimmers, sickle bars, tracked carrieres and PK transporter what the agricultural sector is concerned as well as special garden machines, outfront mowers with collection, commercial outfront mowers, zero turn ride on mowers for the greenery maintenance sector. 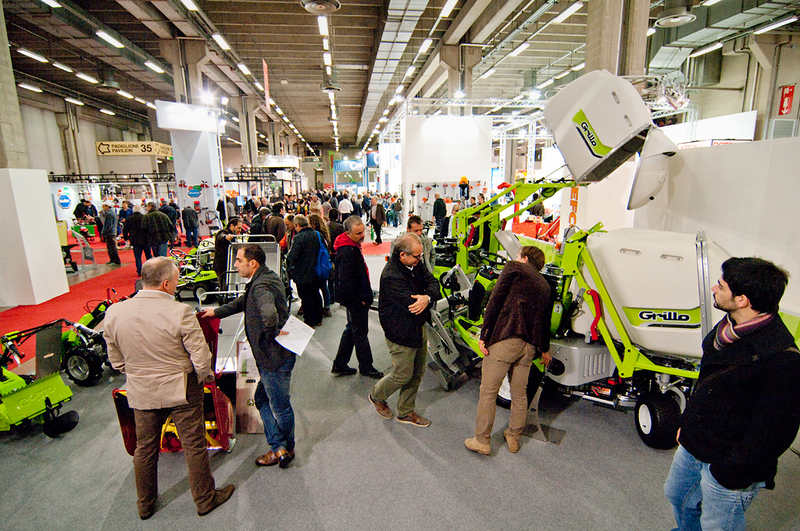 For the first time the visitors had the opportunity to see the news on the stand such as the new PK600 transporter and the Climber equipped with snow blade for the imminent winter season. 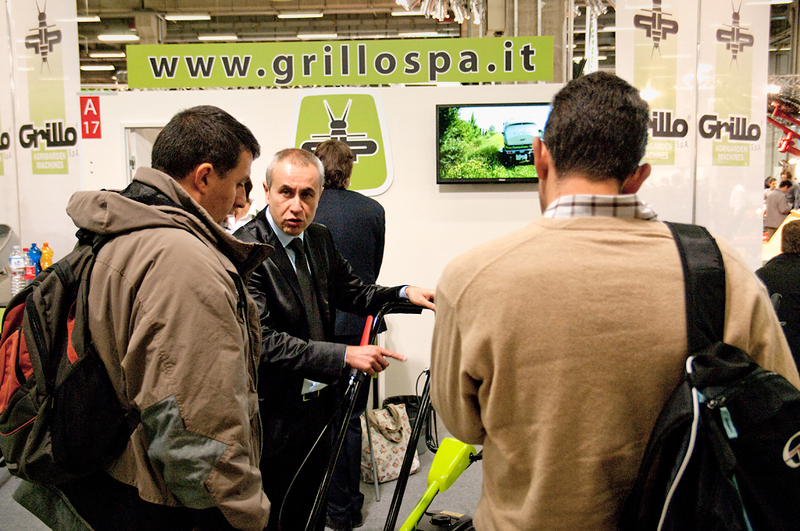 We were very satified with the attendance at our stand and with the interest shown towards our products either by the Italian and foreign specialists as well as by final clients and “curious people”. 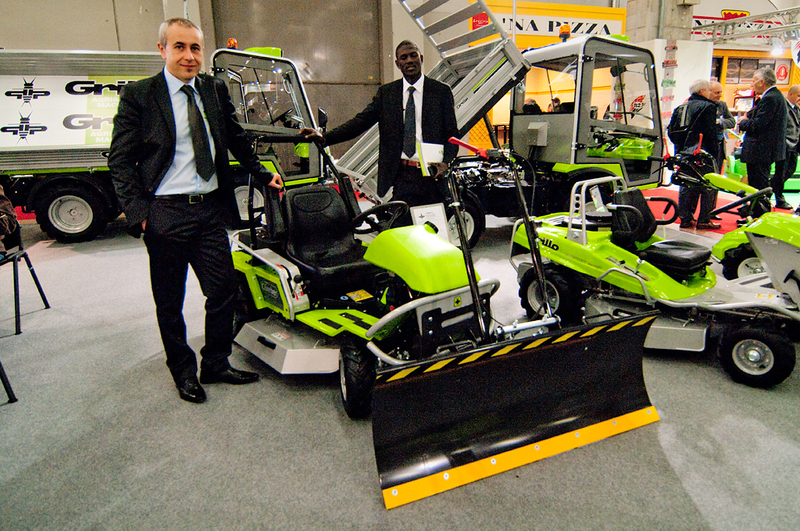 We are of the opinion to have put solid bases for various profitable co-operations for the next future. 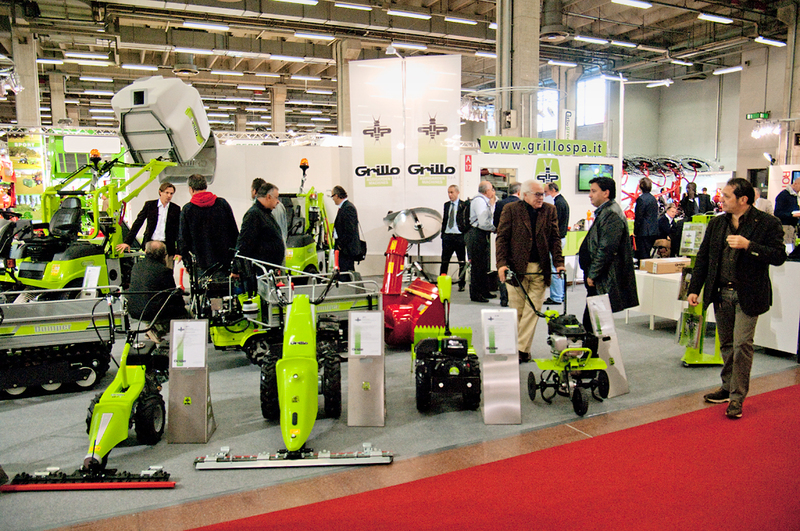 We would like to conclude with thanking all those who made Grillo's success at this event possible and look forward to welcoming you at our stand in two years!